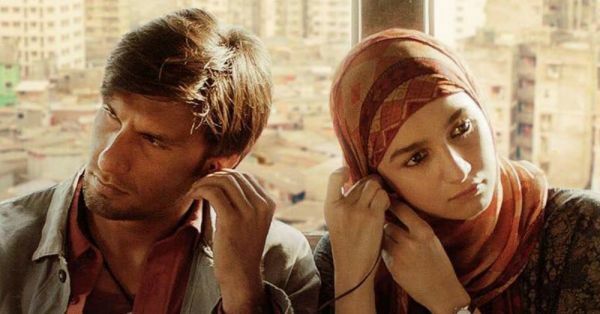 Ranveer Singh and Alia Bhatt just revealed three posters of their new film, Gully Boy. 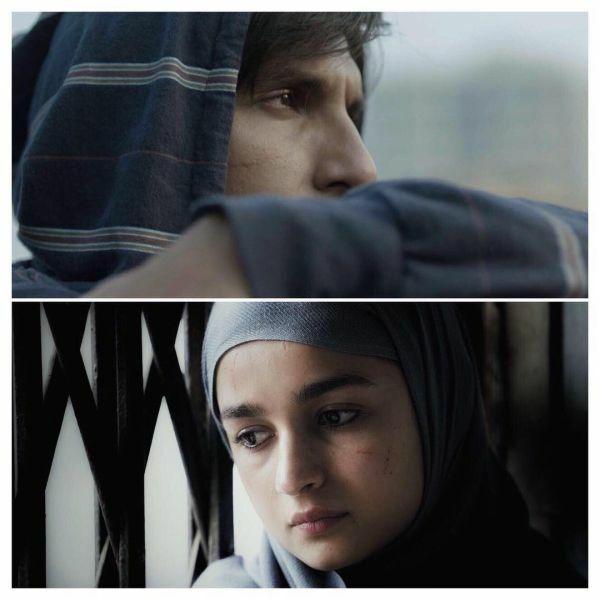 In the first look of the movie, Ranveer Singh sporting a simple hoodie and rugged stubble with Alia Bhatt, who can be seen in a hijab with scars across her face. Directed by Zoya Akhtar and co-produced by Farhan Akhtar and Excel Entertainment, the movie narrates the life of an underground rapper and how he makes it big. Ranveer Singh and Alia Bhatt can be seen sporting simple avatars in the film, here are the posters the two shared on their social media. The story of the movie is inspired by the life of underground rappers, Vivian Fernandes, known as Divine and Naved Shaikh, known as Naezy, who got famous overnight after their hit song 'Mere Gully Main' was released. Bollywood went gaga over the song and it was shared by various celebrities including Ranveer Singh who even rapped Divine's song at the Raazi screening. Vivian Fernandes began his career in 2011 with the song 'Yeh Mera Bombay,' which won the best video award from Rolling Stone India. 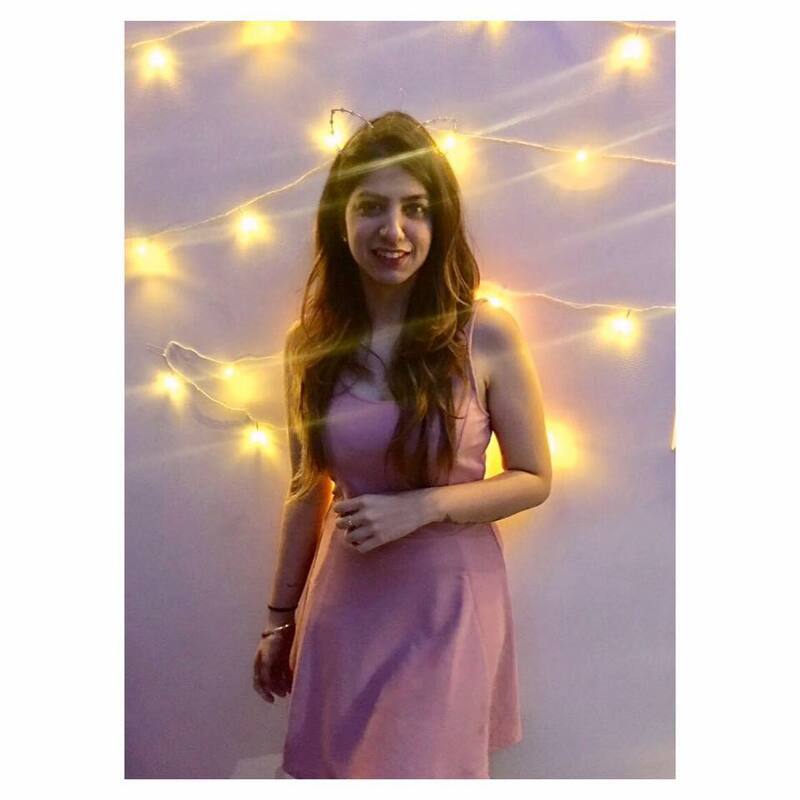 Born and raised in the underground belly of Mumbai, Vivian went viral on the internet in 2014, straight out of Andheri. He began rapping in English, but soon switched to Hindi, which seemed to work in his favour. So, we know that we can expect some great music from the film. 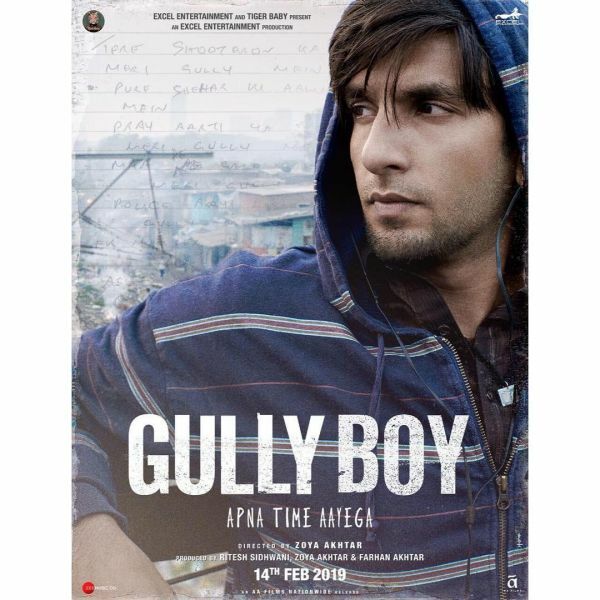 Rumour has it that Gully Boy will have a song, where Naezy will collaborate with the legendary lyricist Gulzar. While Ranveer Singh is giving us some serious underdog vibes in the poster, the fresh avatar looks great on the leading actors. Alia Bhatt's role isn't yet to be defined, but what if she's playing Naved Shaikh? 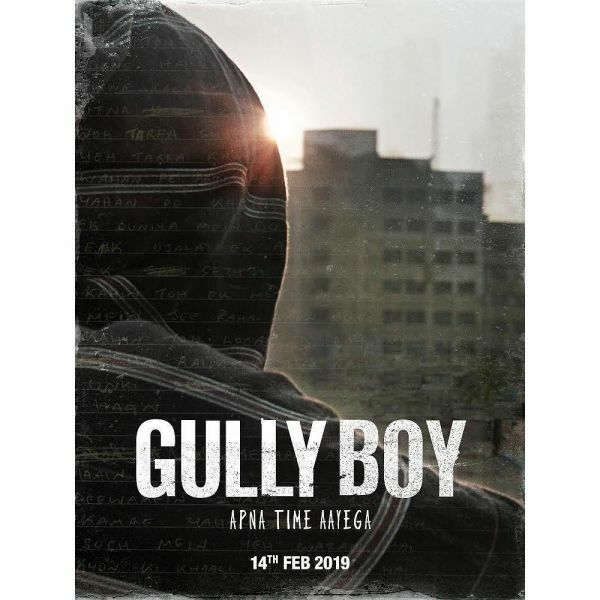 Gully Boy has us guessing! The movie is slated to be released on February 14.